sent in by jill hardman. this one is definitely one of my fav’s now. look at the darling cake and banner! and could the birthday girl be any more precious?! thanks for your submission, jill. congrats on being featured today! Cute party. Love the milk bottles. Do you know where she got them? Love this idea! It's National Dairy Month this month so this would make a great party to now that the kids are out of school. 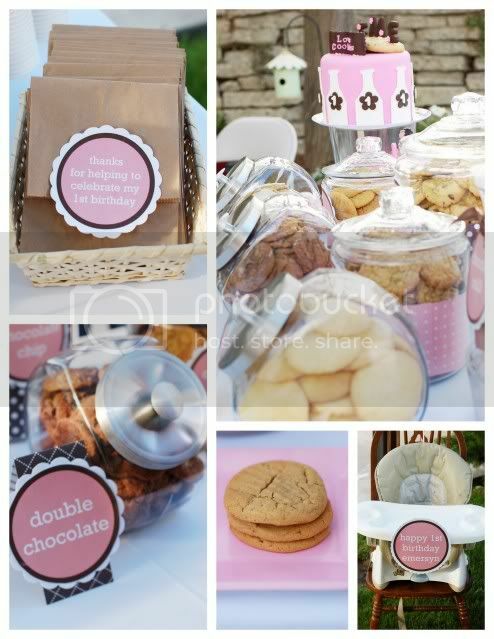 Love the cookies and milk theme! This party shows how the simplest of ideas can be knockout when executed with such beautiful deatils! Gets my head spinning with ideas. Thanks for sharing. that is seriously one of the cutest things i have ever seen!!! it especially caught my interest since my daughter's 1st birthday is fast approaching. we are just doing a family party, but i still want to make it special! OMGosh…how adorable is that. Please find out where she got the milk bottles! Thanks for all of the comments about my party. The milk bottles, believe it or not, came from Walmart! I looked all over online, but didn't want to pay a fortune. I was BEYOND happy and surprised when I found them there. It was a super fun party! 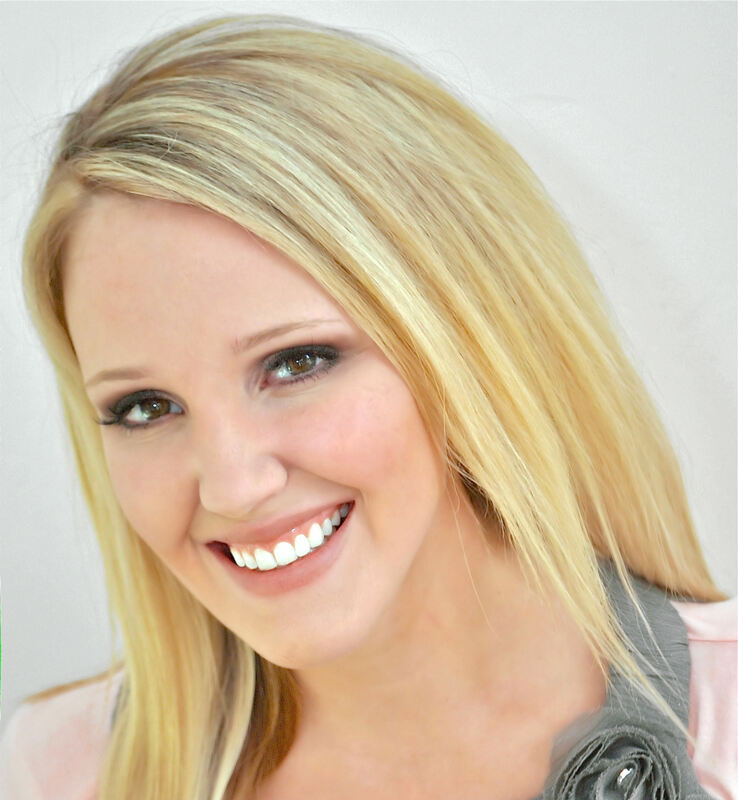 Thanks Kara for this amazing blog! It makes me want to get started planning another party! I would love to know where she got the banner. It's stunning!!!! I actually made the banner. It's just out of scrapbook paper and letters that I bought at the scrapbook store. If anyone wants me to make them one, let me know. I would love to buy one from you if you are selling them! Contact me at [email protected] and we can work out the details. I'm so excited!!! I love the milk bottles, too! I looked at walmart online and didn't see them. Are they the great value brand plastic bottles? Thanks for sharing such a darling party! I peeled the stickers off, so I don't remember what brand they were. They were in the kitchen section (at the store) by the water pitchers. Sorry! Wish I could be more helpful. I adore this party! I'm planning one of my own for my daughter's second birthday, and I have not been able to find much inspiration for a cute invitation. Jill,I'm hoping you are still checking here and could maybe let me know what kind of invite you did for this precious party? Hey! To anyone looking for the milk bottles…I was on a mad hunt for them and refused to take no for an answer! I just started looking on every isle in Walmart. I don't know if you guys are looking for individual sized ones like I was, but they are big! It's called a wine caraffe. They have plenty here, so if you can't find them, I can get them! I was so excited to find them. 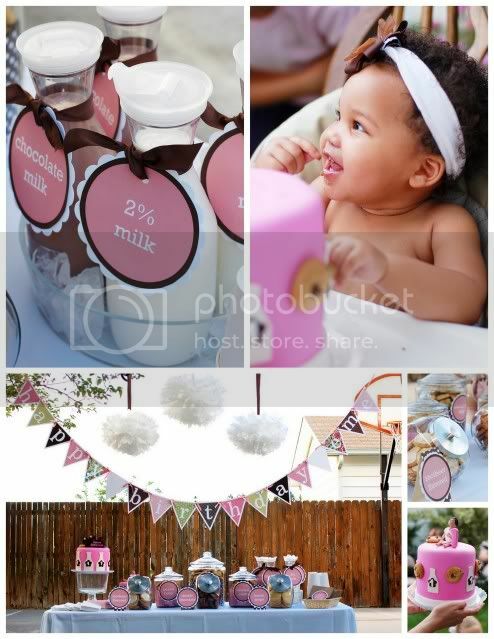 As for invitations, I'm doing like a "Got Milk" ad for her invite!! I would love to buy a banner from you too! I just love this idea b/c it is simple yet elegant. Would you email me b/c I wanted to ask you some other questions if you didn't mind. My email is [email protected]. Thank you so much! What a great idea! 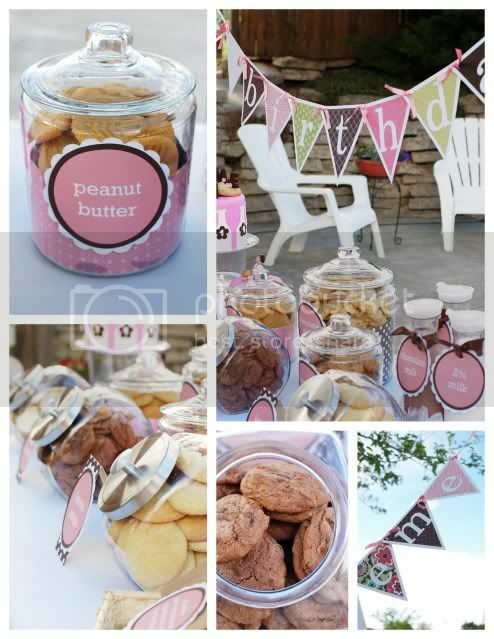 I'd love to recreate this for my daughters 1st birthday party in August. If you are still selling banners, please email me at [email protected]. I would also like information on a banner as well! Thank you!